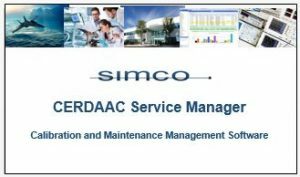 January 16, 2018 – SIMCO has released a new video that provides a brief overview of CERDAAC Service Manager, an advanced cloud-based software service that provides complete service program management for technology organizations. The 3 minute video provides an overview of Service Manager and highlights some of the software’s key features, including workflow management, dashboards, Use Trace, asset tracker, and more. The video is available online and can be viewed by visiting the video’s web page or on YouTube.